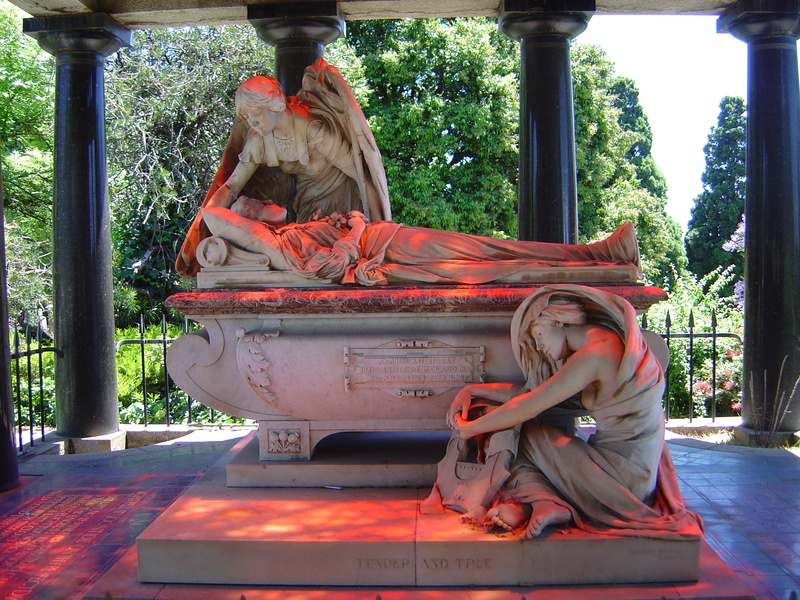 The ten best public sculptures in Melbourne that you have probably never seen. 2. Will Coles, various objects. Will Coles is notorious for his small cast objects. You need to look carefully walking around Melbourne. They can be found in surprising locations around the inner city suburbs. 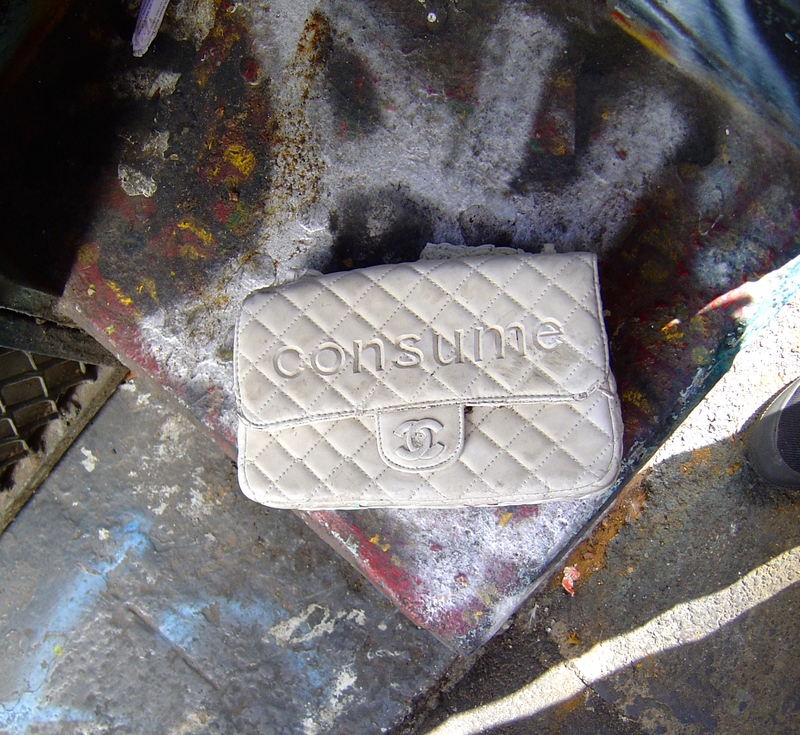 Except you won’t find this one in Hosier Lane anymore because it was stolen. 3. Reg Parker, Untitled 8/73, Preston Public Library. 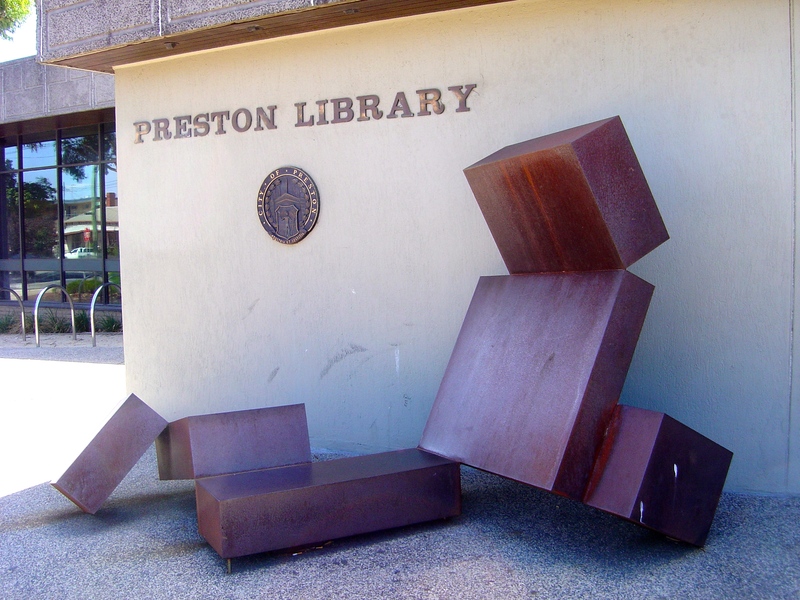 Forget all the hype around Ron Robertson-Swann’s Vault, this is actually the first abstract public sculpture still on public display and still in its original location. 4. 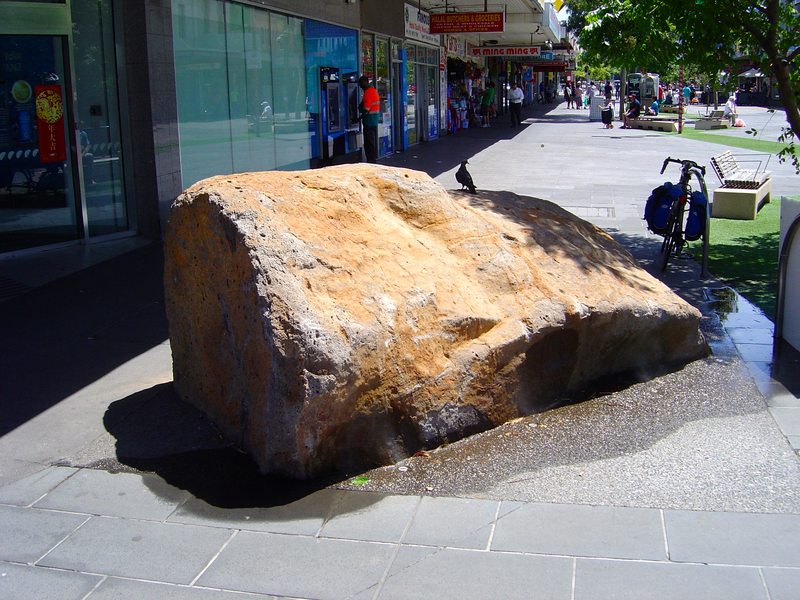 Charles Robb, Landmark, 2005, LaTrobe University. 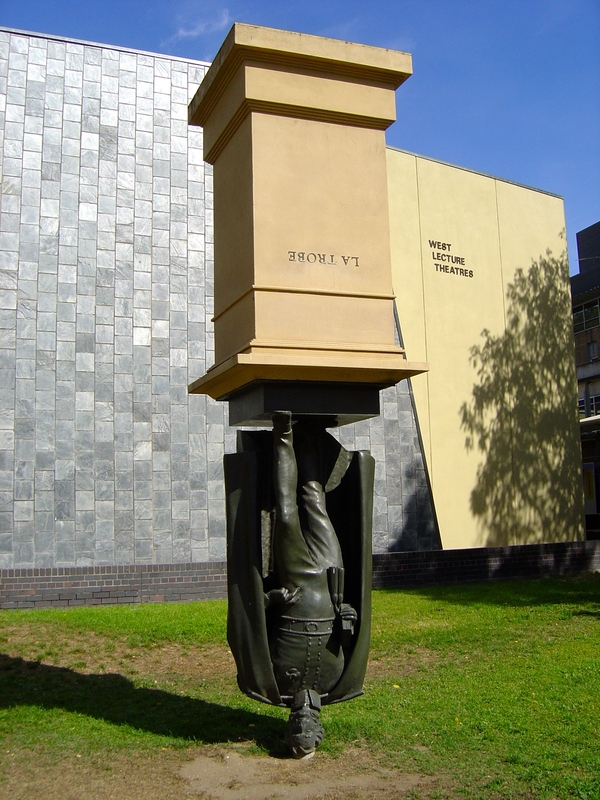 This statue of Governor LaTrobe, Victoria’s first governor turns traditional monuments on its head. 5. 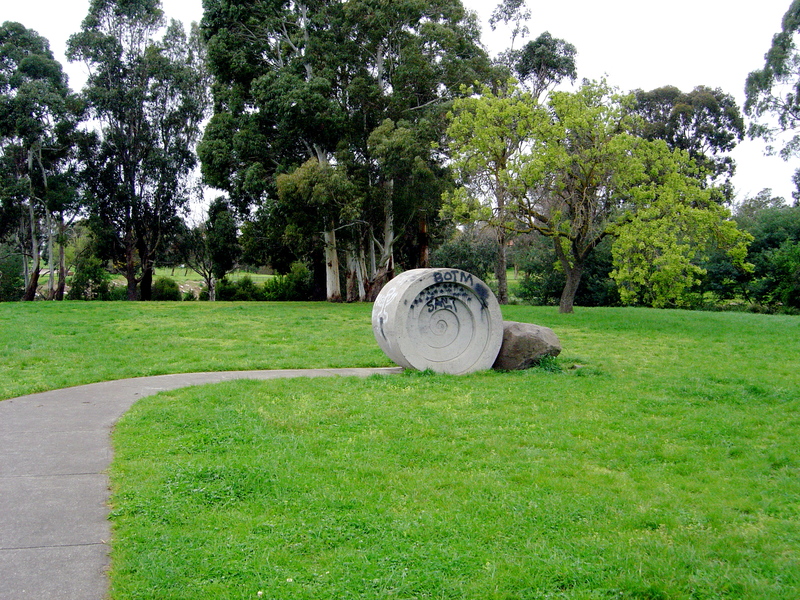 Simon Perry, Rolled Path, 1997, Brunswick. This is my personal favourite. It is on a bicycle path along the Merri Creek. 6. 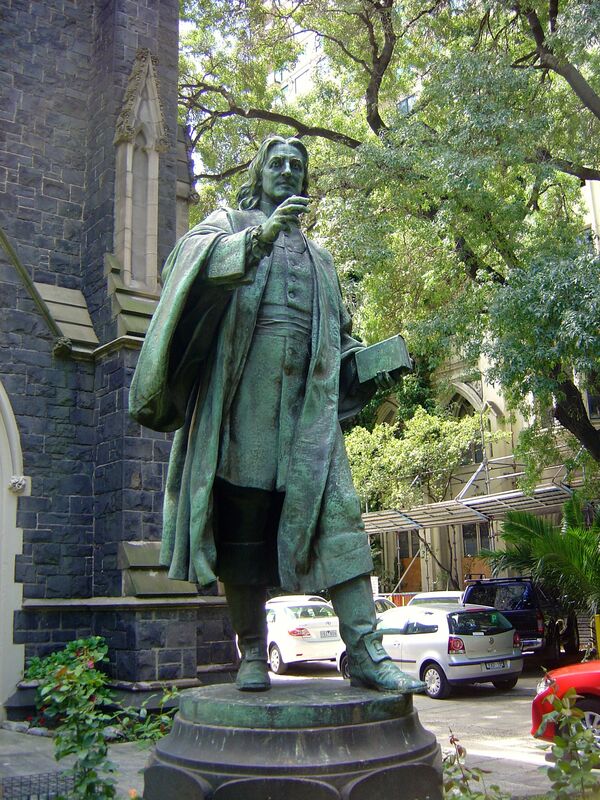 Paul Montford, John Wesley, 1935, Melbourne Wesleyian Church. I had to look again at this sculpture after the sculptor Louis Laumen told me it was his favourite Montford sculpture, it is very dynamic and lively. 7. Vicki Couzens and Maree Clarke, Wominjeka Tarnuk Yooroom (also known as Welcome Bowl), 2013, Footscray. Rocks spraying fine mists of water remind the public of Aboriginal smoking ceremonies but also provide enjoyment to small children and dogs. 8. 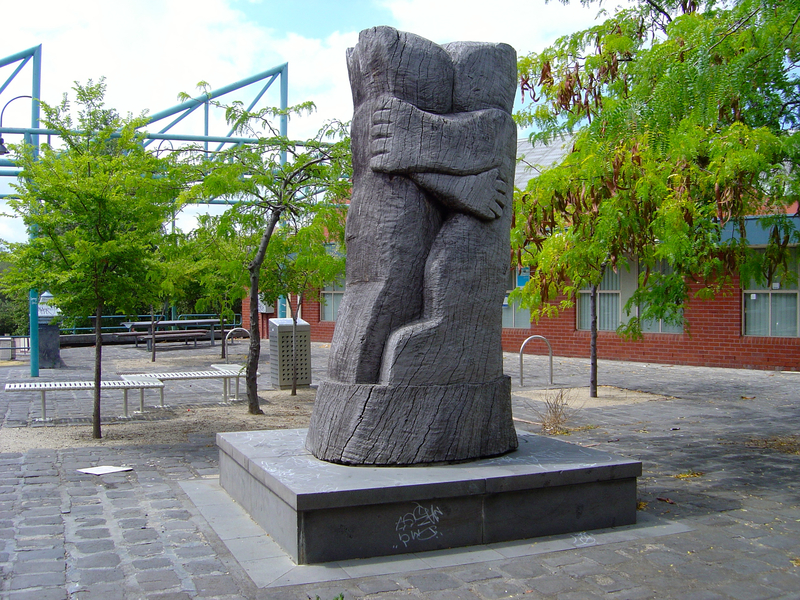 Bruce Armstrong, Untitled (Two Persons Hugging), 1988, Footscray. Armstrong the sculptor for the Eagle in the Docklands and on a very quiet suburban street in Footscray there is one of his large sculptures carved out of a tree truck. 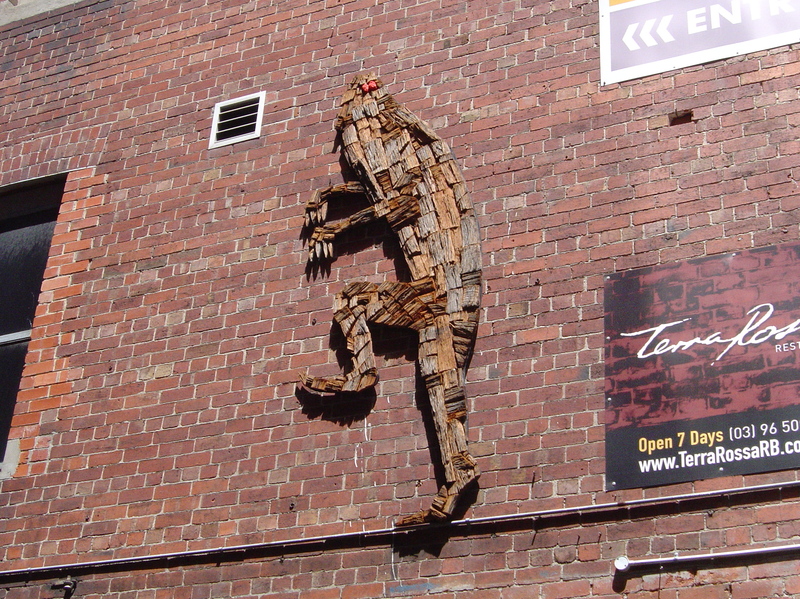 There are some great public sculptures in Footscray. 10. Steaphan Paton’s Urban Doolagahls, 2011, Melbourne You can’t see the Urban Doolagahls anymore because they were only temporary but they still turn up from time to time. 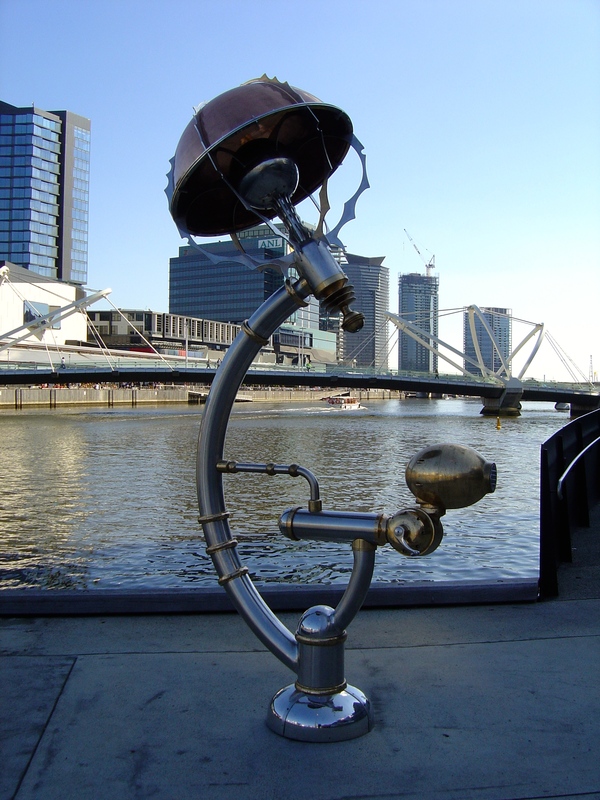 This entry was posted on Tuesday, April 28th, 2015 at 8:21 PM	and tagged with aboriginal art, Brunswick, Footscray, Melbourne, Preston, Public Sculpture, street art sculpture and posted in Public Sculpture. You can follow any responses to this entry through the RSS 2.0 feed. There are always other collaborators with all public sculpture. I didn’t list the fabricators of the other sculptures but I am aware of their work and your role in this work, Jeph Neale. Sorry that I left your name out.